Want to splash out on your pride and joy but can’t take on all the cost up front? 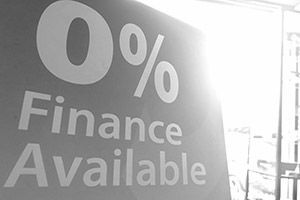 We can offer 0% financing* to help ease with the squeeze on your wallet! We understand that car modifications can be expensive and so unlike the majority of large garages, workshops and suppliers, we pride ourselves on offering the best prices, flexibly, to bring the best BMW, Mini and Range Rover Performance to our customers. To find out more, please call us on 0208 598 9115. Had an accident and need repairs? We do all the hard work with your insurance company, so that you don’t have to. We understand the inconvenience of being without a car is enough to have to deal with. Then the added stress of phone calls and paperwork can leave you in a much more daunting situation. Here at MStyle, we can liaise directly with your insurer to get your vehicle back on the road quickly and without hassle. To find out more, call 0208 598 9115. *0% Finance is subject to terms & conditions and availability. MStyle has the right to reserve financing subject to our criteria and credit checks. A smaller deposit of the total cost will be required.